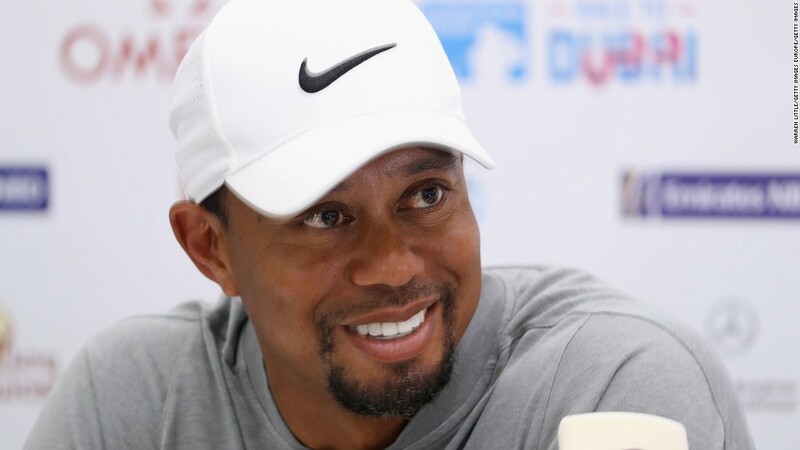 (CNN) One of the most famous people in the US, Tiger Woods is urging his compatriots to “unite” during some turbulent times the country has arguably been recently experiencing. Woods urged Americans to “come together and do what’s best for our country,” the former world No. 1 golfer told CNN’s Living Golf in Dubai. Woods was talking in the aftermath of President Trump’s controversial immigration ban, which has caused ructions in the US and throughout the rest of the world. Trump’s order has suspended the US refugee system for 120 days, suspended the Syrian refugee program indefinitely, and banned entry from seven Muslim countries — Iran, Iraq, Libya, Somalia, Sudan, Syria and Yemen — for 90 days, among other things. “We need to unite, and be Americans,” said Woods, who played golf with the then president-elect in December. The 41-year-old, who makes his second appearance of the year in Dubai this week, feared he would never play golf again during “dark times” as he recovered from multiple back surgeries in late 2015. “It was a tough, tough road,” said Woods, who returned to golf in December after 15 months out. “There was a lot of dark times where I couldn’t get out of bed, couldn’t move, the pain was too great. Woods has also missed several spells for knee surgery, notably after winning the last of his 14 major titles in 2008. “You know, I’ve had a damaged knee, I’ve had a few operations on the knee, give me that any day of the week,” he said. Woods is playing this week’s Dubai Desert Classic on the European Tour, his second tournament in a row after missing the cut on his 2017 season-opener in California last week. The Californian says he was rusty at Torrey Pines in what was only his second event back, following December’s Hero World Challenge. But he is unconcerned what people think about his technique, which has undergone various reincarnations over the years to accommodate his injuries. “I just play away from pain, it’s very simple,” said Woods. “Whatever that swing looks like, if it looks awful, then fine, I don’t care. “If it looks like Jim Furyk, that’s fine, too,” added Woods, referring to the Ryder Cup captain whose unconventional swing has been likened to an “octopus falling out of a tree,” among other things, though it has netted him a US Open and 17 PGA Tour wins. What does it take to make Jason’s perfect Day? Woods is also scheduled to play the Genesis Open in California (February 16-19) and the Honda Classic in Florida (February 23-26) as he builds up to a return to Augusta for the Masters in April. READ: Is Jack Nicklaus’ major record untouchable? He won the last of his four green jackets there in 2005, but has had seven top-six finishes in his nine appearances since then. Woods has won 79 PGA Tour titles, second only to Sam Snead’s record of 82, but none since he clinched five wins in 2013. He remains four major titles behind Jack Nicklaus’ record of 18.